It looks like Samsung’s Galaxy S5 flagship smartphone will be updated to Android 4.4.3 KitKat in the near future. According to Sam Mobile and one of its insiders, Samsung is already testing Android 4.4.3 on the SM-G900F (Snapdragon) and SM-G900H (Exynos) variants of the S5. 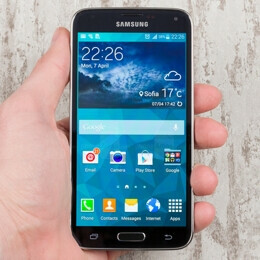 The latest version of Android is also tested on the Samsung Galaxy S4 LTE-A (GT-I9506A). At the moment, the update is being integrated with Samsung’s own software customization on all three handsets, so it might take a while until it’s rolled out to end users. As you may know, Android 4.4.3 isn’t a major update, offering bug fixes and various optimizations. Sam Mobile also provided new details regarding KitKat updates for some of Samsung’s older smartphones (which currently run Android Jelly Bean). For example, June is when the update should be available for the Galaxy S4 Mini, Galaxy Mega 5.8, Galaxy Mega 6.3, and Galaxy Grand 2. As we told you not long ago, the non-LTE version of the Galaxy S III won't be updated to KitKat at all. Firmware Updates used to be a priority when I used to buy phones 2-3 years ago, now it's not that deal breaker for me. Jumping from 2.3 to ICS, or from ICS to JB was a great improvement performance wise and also the functionality it brought with it. Now even if my phone got stuck on 4.2.2 (which I am sure it won't happen with my S5) it won't bother me, because the next update will bring almost nothing major for what the 4.2 has been offering. The biggest update will always be jumping to 4.1 JB, the rest that came and will come after are slight improvements of their predecessor. I am not saying I want them to stop updating our phones, I was just making a point. People who don't go on tech news sites don't care about those updates, the majority don't even know what version their phone is as long as it is functioning flawlessly, it is just as that read a lot are brainwashed about updates, material used in the phone, this copied that, and became slaves to brands that don't give a damn about what we think, where ironically we are supposed to know better than those who have never been on a tech news site. What the hell are you babeling about?? ?How do you mean even if your S5 got stuck on 4.2.2, did you downgrade it. Always a good sign to see OEMs working with latest update to release soon. Cmon Google, give it out. The last part of my post above, is posted from someone with a house full of Nexus waiting for 443. I never implied it was available to any other then the OEMS for prep work for their phones. It will bring bug fixes that will help with battery life and performance which would be great seeing how my s5 likes to lag a lot of times and I barely have any content on the phone. Can't wait to get rid of this. Even my g2 had a smoother experience than this. Bring it on. I rather have the choice to upgrade. If I don't like it I could always down grade it to which ever version I prefer.